If you’re longing for some island breeze, warmer and brighter days, then we have something right for you! Little Zia celebrated her first birthday with a chic bash filled with charming tropical details. With Sofitel Philippine Plaza’s picturesque garden area, the venue alone gave this party the perfect view and ambiance! 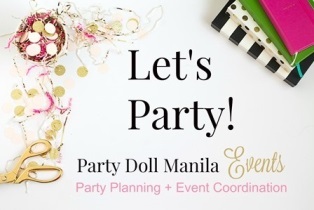 But of of course, it wouldn’t be a PDM kiddie party without a touch of pretties and a dash of fun. With the help of Dianne Khu Designs, we made sure that every corner is impeccably styled with lovely shades of pink, splashes of green and delightful deets in between. Thanks to Little Coeo and Bella Morcen Films, they wonderfully captured everything bright and bursting with colors. This fun party will surely make you want to go on a summery tropical adventure soon! The welcome signage made quite a charming impression with the eye-catching installation of coconuts and leaves welcoming party guests. It was a perfect preview for what’s in store for them! With blue skies and palm trees, who needs heavily decorated ceiling décor? We love how Dianne simply put strings of pink and blue palm frond cutouts to add a bit of tropical flair. Wait till you see the main area! It was decked out in pinks and whites, splashed with greens, balloons, and wooden accents. Spot the cozy throw pillows perfect for lounging! White long tables and lawn chairs superbly complemented the vibrant centerpieces of balloons and foliage amidst aqua and burlap runners. Looking at all angles, we totally dig the bold setup because of its elegant minimalism! Zia’s cake from Sugarplum Pastries was such a darling masterpiece! The three-tiered confection was fantastically decorated with tropical foliage, and we just can’t stop raving about it! Besides the lovely styling on the sweets spread, everything on the table was absolutely delectable! Macarons, pops, cookies, and cupcakes were all insanely designed with charming, colorful tropical details. Too pretty to just gobble up! Little Zia’s photowall looked like something out of a magazine editorial! The vibrant leaves in watercolor combined with a bubblegum pink wall oozed with chicness. We’re pretty sure guests had a grand time taking IG-worthy snaps on this spot! Having kid-friendly activities in the party is a must – and Zia’s bash had tons lined up for the guests. Aside from a bevy of food carts, there was a kiddie salon to have your hair, nails, and glitter tats done. Or how about tapping into your inner creative side at the arts and crafts section? There was a flipflop and fish bowl decorating area, as well as coloring sheets for the inner Picasso in you. A band even played the perfect beats to complete that summer-chill vibe we were aiming for. As token of thanks, guests took home these lovely pillows – perfect for warm nights in a tropical paradise. Yep, guests had these personalized thanks to our on-the-spot calligraphy station! Guests were seen enjoying themselves in this gorgeous tropical fete that’s absolutely one for the books! It looked like our adorable little celebrant had a great time celebrating her bright and summery first birthday. Zia’s parents can’t get enough of her!